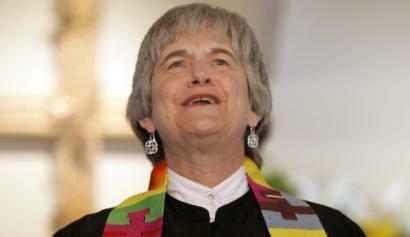 *A change to the Presbyterian Church’s constitution opens the door for ordaining gay ministers, deacons and elders but leaves the decision of who’s chosen as church leaders at the local level. The changes also state that the governing body responsible for ordaining ministers or installing lay leaders should examine each candidate’s calling, gifts, preparation and suitability for the responsibilities of office. “Governing bodies shall be guided by Scripture and the confessions in applying standards to individual candidates,” it states. The move returns the church constitution to its pre-1997 stance, which didn’t specify any sin, said Pastor Charles Davenport of West Avenue Presbyterian Church in Gastonia and a presbytery associate for the Western North Carolina Presbytery, which represents 112 churches in this area including Gaston, Lincoln and Cleveland counties. Western Carolina was one of the presbyteries to vote for the change. The injunction against gay and lesbian ordination started in 1997. This vote reverts the constitution back to its pre-1997 stance, which had been the Presbyterian stance since 1729 of allowing decisions to be made locally. All these changes of man’s own traditions. God is one but the world wants new, turning their back to the days of old *Deuteronomy 32:7. Remember the days of old, consider the years of many generations: ask thy father, and he will shew thee; thy elders, and they will tell thee. ( Now look at Esau the elder twin brother of Jacob, is called Edom. Jacob found grace *Genesis 35:10 And God said unto him, Thy name is Jacob: thy name shall not be called anymore Jacob, but Israel shall be thy name: and he called his name Israel.